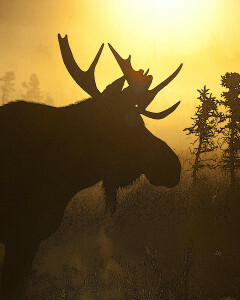 I remember well the very first time I, well let’s use the politically correct term, “harvested” a moose. It was a clear crisp autumn morning; the leaves were just beginning to turn a brilliant yellow and orange. 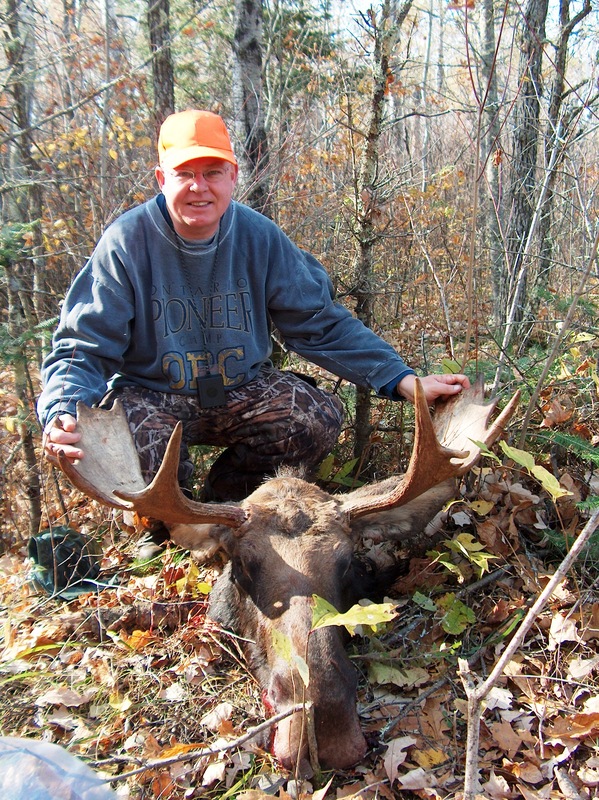 Between my friend the veteran moose hunter and myself we had a cow and a calf tag. We took off deep into the bush with keen anticipation, invigorated by the beauty that was all around us. We’d been given a “tip” where a cow and a calf had been sited the night before. This was my first big game hunt and I was pumped!! Unfortunately earlier rains and heavy equipment made the area we needed to check out impassable. It was a discouraging reality that you confront all too often when pursuing moose. With few other options, we turned around and tired to figure out a new way to approach this hot bed of moose activity. We were not feeling all that hopeful when all of a sudden we came across what appeared to be fresh tracks. It looked like two moose – quite possibly a cow and a calf. Our hearts began to race. Emotions did a complete 180. The tracks were leading into a small lake. The scene was spectacular. A small pond full of bulrushes with rock outcroppings around it, and beyond the pond a small but crystal blue lake backed up by a sea of aspen and black spruce, all under a canopy of blue sky and well shaped cumulous clouds. Just being out in the midst of the spectacular beauty of our created world was energizing to my soul. Even if the trail led to nothing, the day had been an incredible success. As luck or providence would have it, we were actually able to get within sight and then shooting distance of the cow and calf and bring both home for dinner. Sweet indeed!!! The experience of lining up that cow in my scope, squeezing the trigger and watching it go down was incredibly exhilarating. At the same time the taking of such an impressive and massive animal left me in awe, giving thanks to the Creator not just for the harvest but the life of that magnificent animal. Since then I’ve had the breathtaking privilege to bring home a few more moose, deer and grouse among other delicacies for the dinner table. More often than not it’s mostly been just a trek in the woods with gun in hand, with nothing to show for it other than a soul that’s been re-energized by the beauty of the created world. And that is enough. It is truly enough. Reflecting on the energizing beauty of creation, the biblical prophet Jeremiah says, “Ah, Lord God! It is you who have made the heavens and the earth by your great power and by your outstretched arm! Nothing is too hard for you.” Similarly, David in the eighth psalm is in awe of the fact that the God of Creation is mindful of each of us. Every time I trek into the woods, take a hike, head to a remote fishing lake, explore a bit with an ATV I am confronted by the reality that I live in a world created by a loving God who is intimately interested in and cares for me. Every time I venture off of the beaten path, my soul wells up with the conviction that my Creator lives, loves and makes an incredible difference in my life, every day – whether in the bush or at work. I’m not suggesting that you all grab a gun and head into the woods this week. Although I will admit that by doing that I end up in places and experience beauty that I would not otherwise experience. 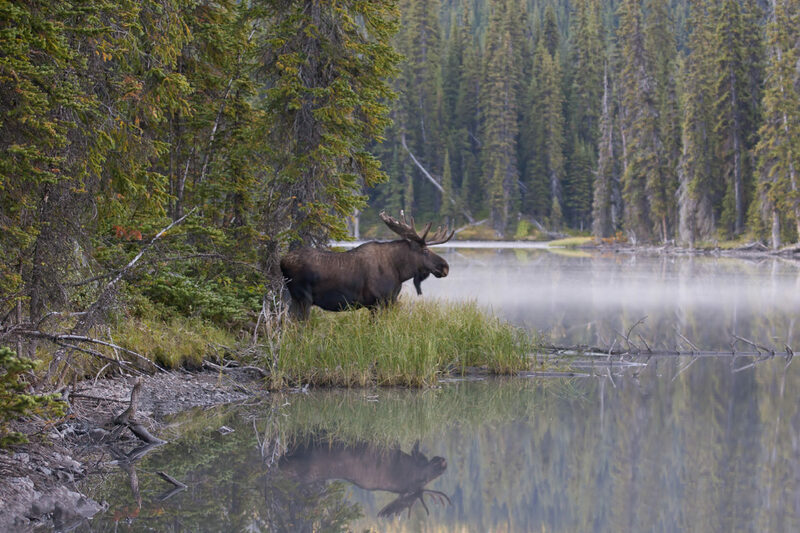 There just something about tracking a moose that takes you to some of the most amazing and unexpected places! But what I am suggesting is that as the leaves turn colour, this is a great time to get out and enjoy the beauty of God’s creation. And as you do that, realize that the God who created all this awesome beauty also created you and is intimately interested in doing life with you. This post originally appeared in the September 27th, (2013) edition of Fort McMurray Today.